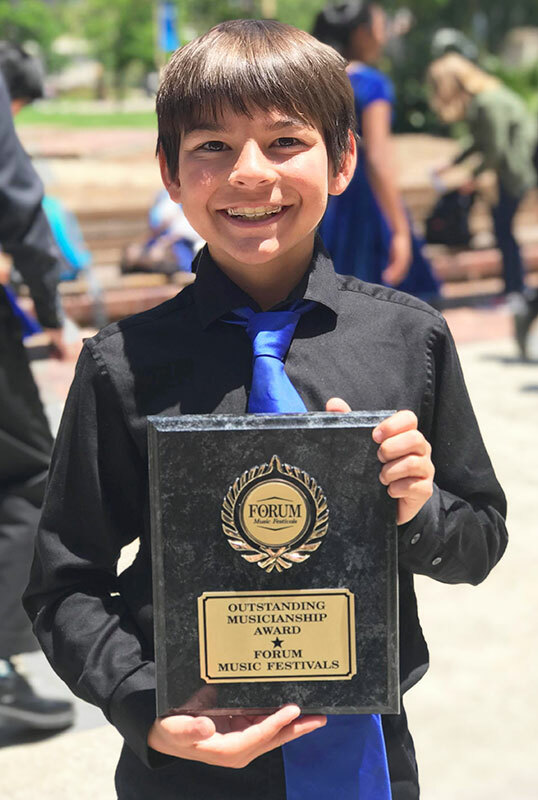 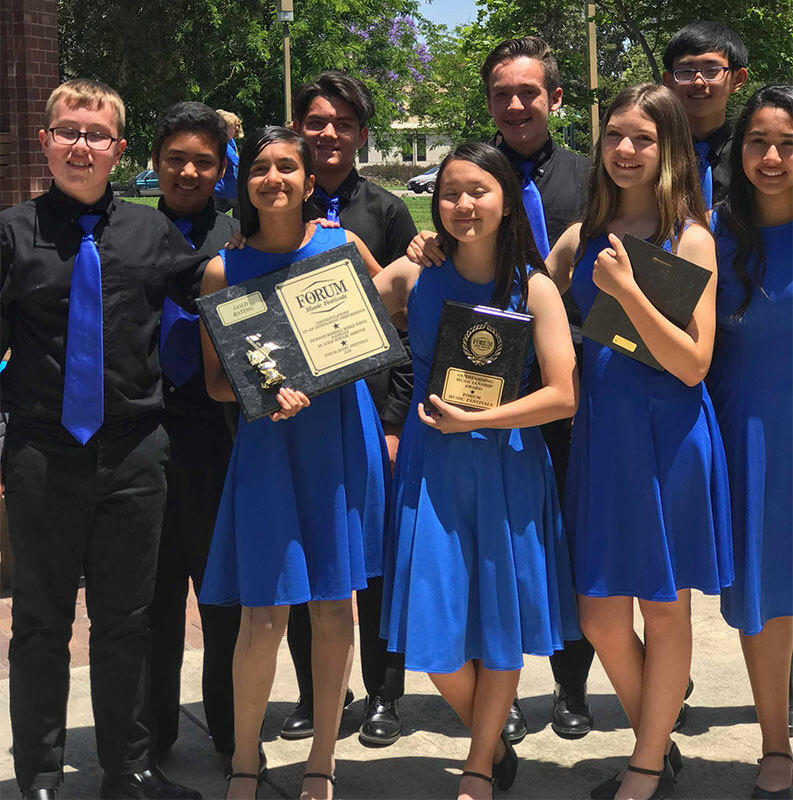 Marshall Middle School Choir participated in the annual Forum Music Festival at Fullerton College on June 1. 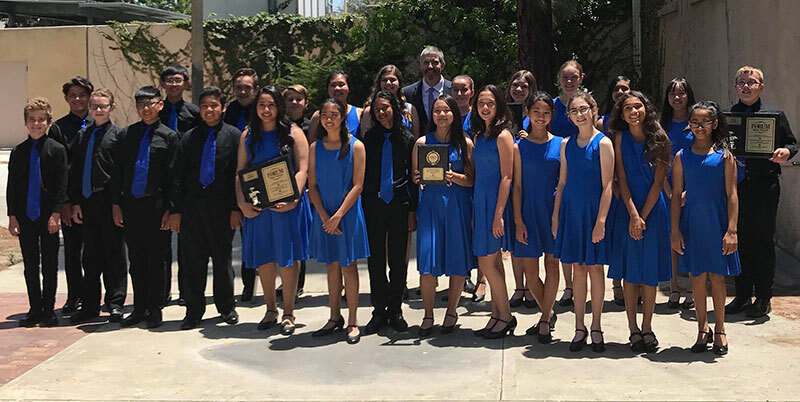 The Beginning, Intermediate/Advanced, and Marshall Madrigals performed selections, and each group received a Gold ranking, which is the highest they can receive. 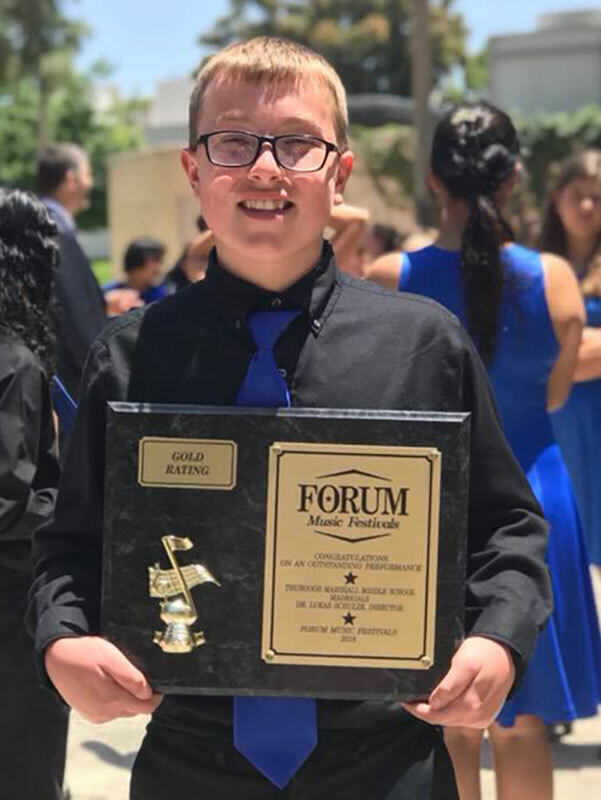 Justin Strahm received an individual award for Outstanding Musicianship, and Amalea Ribeiro received an individual award, too. 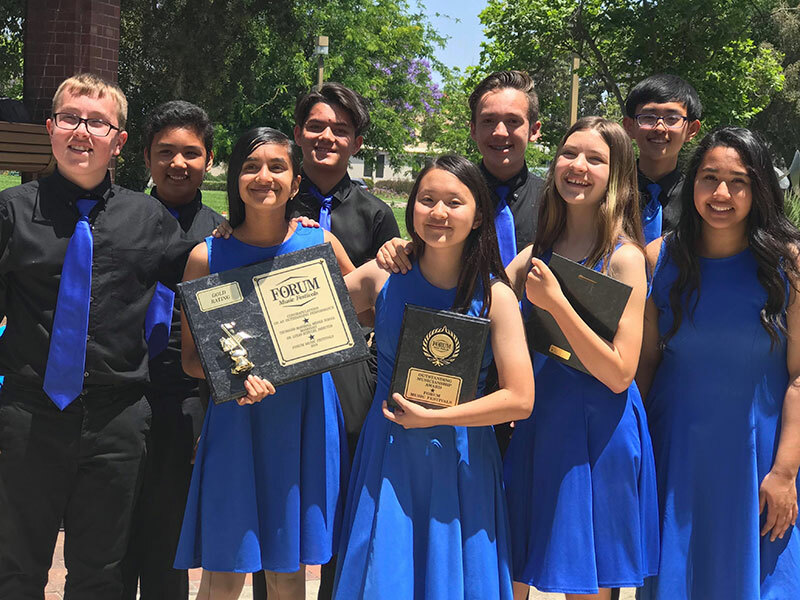 The alto section and the Madrigals also received special acknowledgment and accompanying plaques.